How to move to next regions. 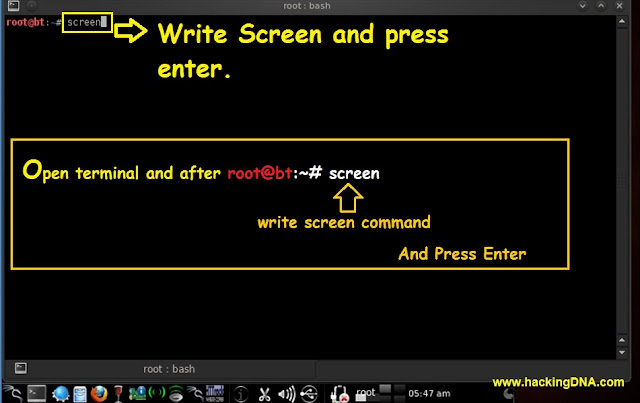 root@bt:~# screen //screen is the command you have to enter. 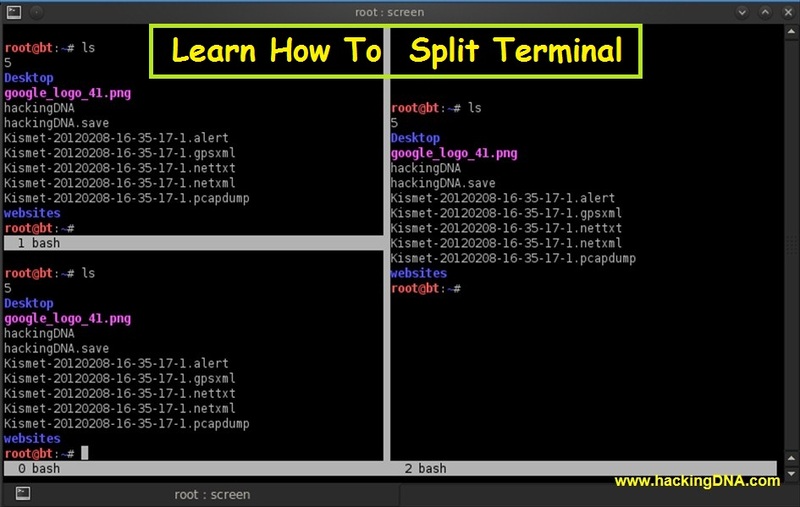 In this image your screen command will launced ,now let spilt the terminal into Vertical section . 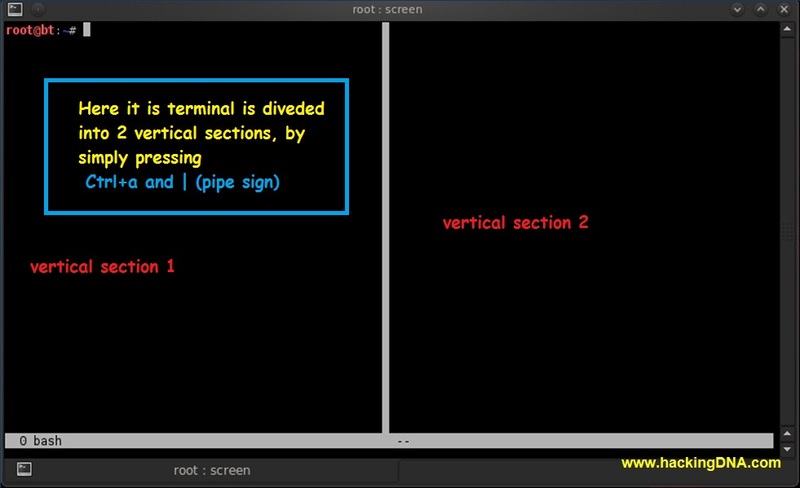 Description : Here you can see that terminal is divided into 2 vertical sections . 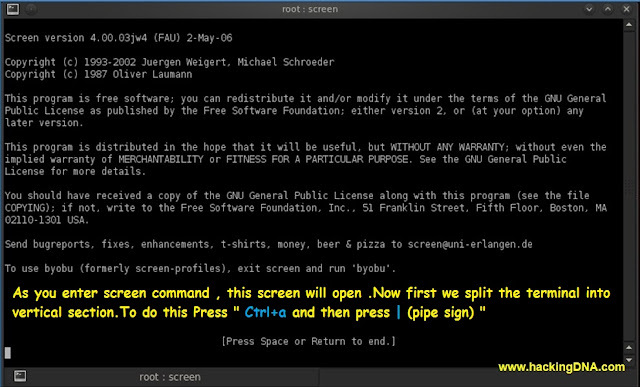 Ctrl+a shift s : It is used to divide screen into two terminal regions . Ctrl + a tab :- It is used to move into another region . 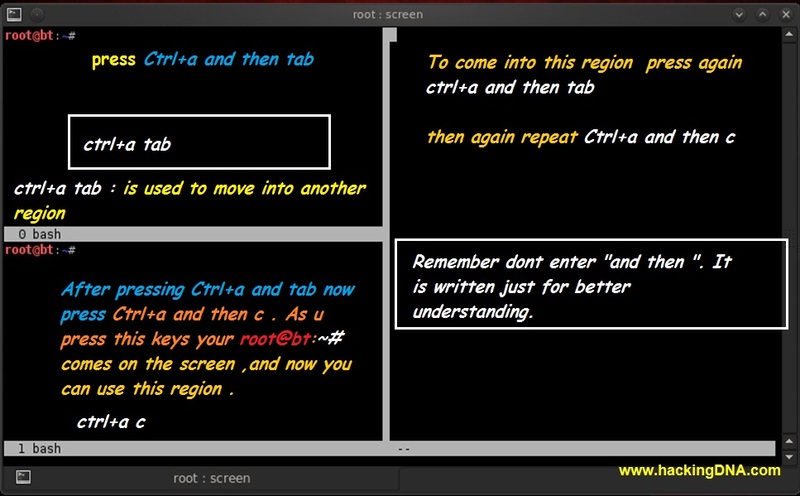 Ctrl + a c :- It is used to create a new window in use. These are the command used here to move from one region to another . After creating vertical and horizontally sections , here is the fine example of using the terminal only on backtrack 5 . The pipe key outputs \ when i press it. I can't split into horizontal only vertical.